The Nikon N5 is a professional camera which captures excellent images. Its 20.8-megapixel sensor trades a low ISO dynamic range for excellent high ISO performance. The Nikon N5 is a professional camera which captures excellent images. Its 20.8-megapixel sensor trades a low ISO dynamic range for excellent high ISO performance. This best professional camera does not compromise on autofocus and speed. It comes with 153 AF points. 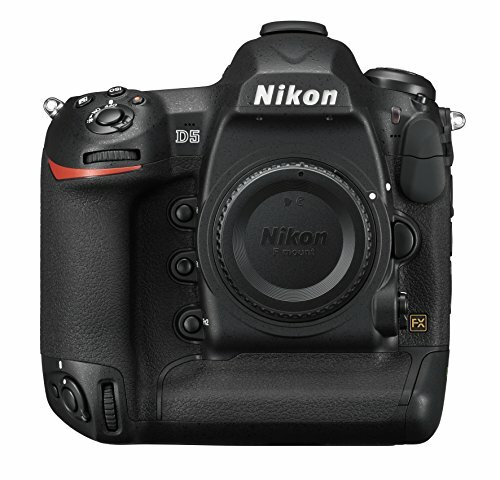 The Nikon D5 has 12fps continuous shooting with a maximum of 200 images. This bulky but professional DSLR has everything you have ever wished for. The Nikon D5 uses a brand-new 20.8-megapixel full-frame CMOS sensor. You now get faster speeds with its EXPEED 5 image processor. The new high-resolution sensor for this pro camera comes with an optical low pass filter. It is enhanced further with anti-reflective coating. You will have no issues with ghost and flare. With superb performance in low light, the Nikon D5 has improved ISO range. It has a new autofocus system which acquires focus in as little as -4 EV. 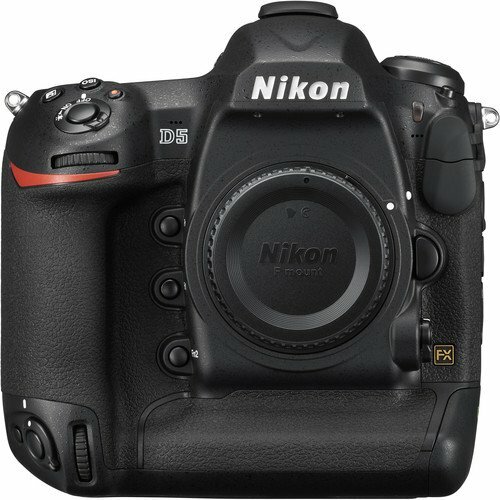 The Nikon D5 makes a big leap as the first Nikon model to use a dedicated autofocus processor. This Pro camera has a Multi-CAM 20k AF sensor module which has 153 autofocus points. As durable and rugged as ever, the Nikon D5 professional camera has robust weather sealed body. It is enhanced with a new shutter and mirror sequencing mechanism. With this, there is no blackout time or mirror slap. You can get a bright and consistent image through the viewfinder when you shoot at high speed. With an efficient processor, the Nikon D5 squeezes additional life out of its EN-EL18a rechargeable battery. You get to take more shots without having to charge. The Nikon D5 will give you about 3,780 shots battery life before recharge. Are you a burst shooting photographer? The Nikon D5 lets you select the first or last frame of a burst. You can check immediately after concluding a burst. The bursts can also be played automatically. This pro camera has a frame advance bar for advancing the frames on the touchscreen. Its ISO button is located near the shutter release button. With this, you can control all exposure-related controls with your right hand. 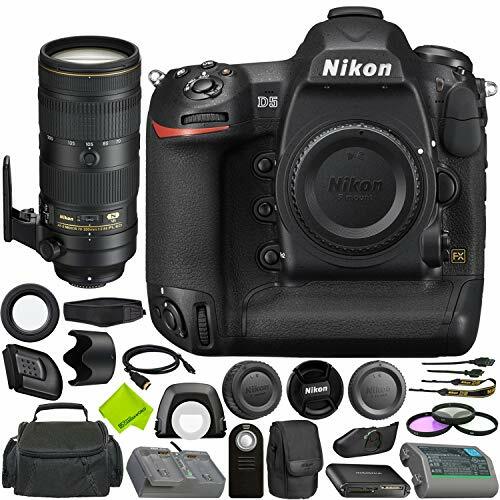 The Nikon D5 is the first flagship Nikon Pro DSLR which can capture 4k ultra high definition video. It is because of its EXPEED 5 image processor which captures 4k videos at up to 30fps. Records up to three minutes of 4K video at a time. It is either on the camera memory card or external device.